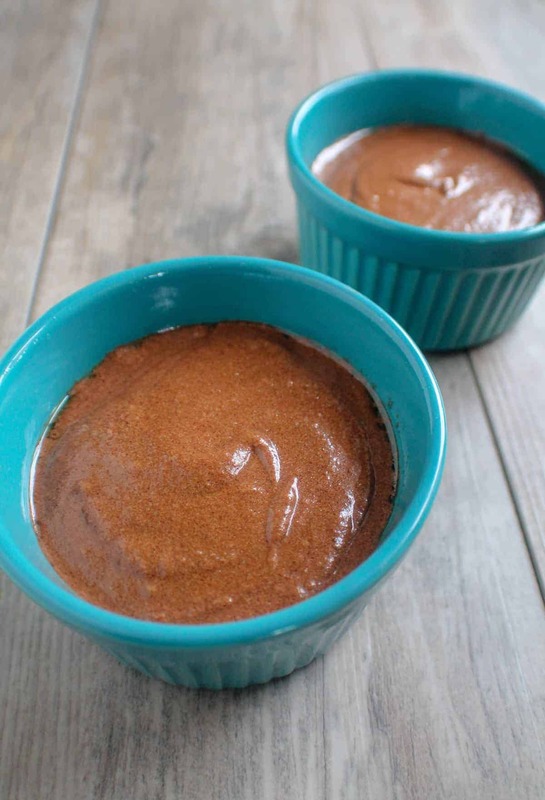 My recipe for Chocolate Pudding Cake first appeared on Grumpy’s Honeybunch where I am a contributor. 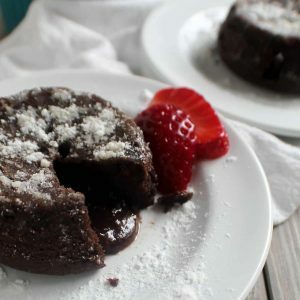 These Keto Lava Cakes For Two are a chocolate lovers dream! 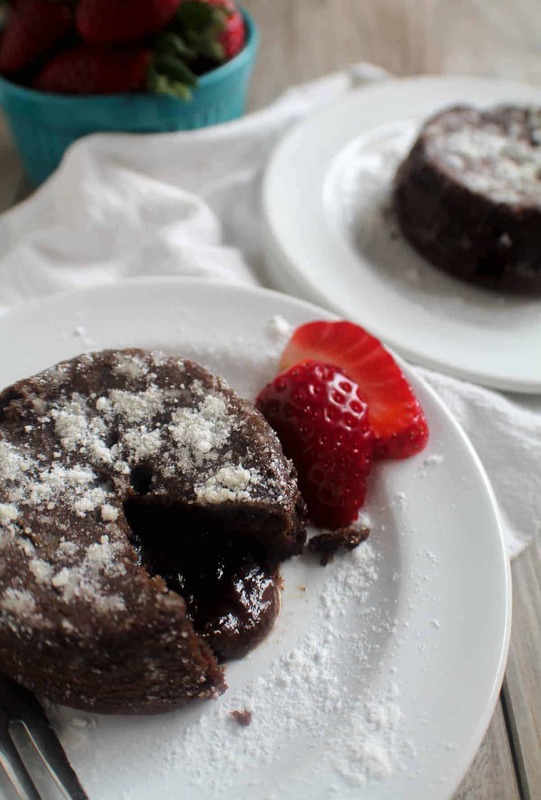 Also known as chocolate pudding cakes or molten chocolate cakes, they have a rich and creamy pudding-like center and are surprisingly quick and easy to make. And are dense, rich and extra chocolate-y – which I personally love! Start by melting together some Keto-friendly chocolate chips (I prefer Lily’s or Enjoy Life Dark Chocolate Chips) and butter. Feel free to use non-dairy if needed. 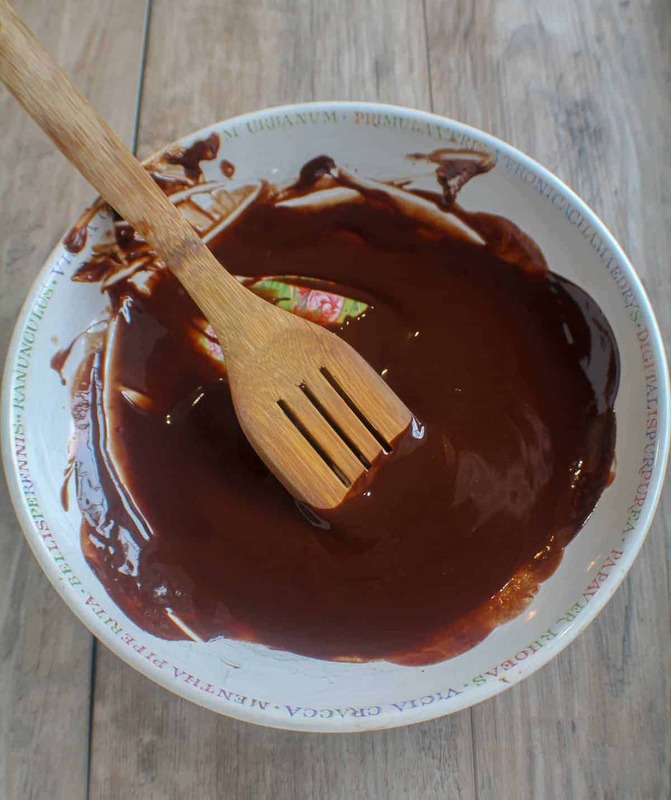 If you heat chocolate too fast or unevenly it will get hard and lumpy so I recommend melted it in a double-boiler or in intervals in the microwave. You can easily make your own double-boiler by placing a large, heatproof bowl over a small saucepan of boiling water. Then, add the chocolate to the heatproof bowl and stir it until it’s fully melted. If you choose to melt your chocolate in the microwave, start by heating it for 30 seconds then stir the chocolate very well. After that, heat in 15 second intervals, stirring well after each interval, until fully melted. Beat together 2 large eggs and 1/4 Cup of Keto-friendly Sweetener, or coconut palm sugar if you follow a Paleo diet. I prefer to use the full 1/4 Cup of sweetener because I have a massive sweet tooth. However, if you don’t like your desserts super sweet like me you can reduce the sweetener to 2 tbsp. Add the melted chocolate to the egg/sugar mixture, along with 1/4 Cup of Blanched Almond Flour and 1/2 tsp. Pure Vanilla. Mix well. Then, divide the batter between 2 well greased and parchment-lined ramekins. No need to be precise with the parchment paper, just a small square on the bottom of the ramekin will work fine to prevent sticking. Bake at 350 degrees for 14-18 minutes, or until the edges are firm and only the very centers are slightly soft and jiggly. The longer you cook them the less pudding center they will have. They will fall after you take them out of the oven but don’t panic, that’s perfectly normal! Allow cakes to cool 1 minute, then run a butter knife around the edges and invert onto a plate. Garnish with strawberries and Lakanto or Swerve Powdered Sweetener. Don’t skip the parchment paper! 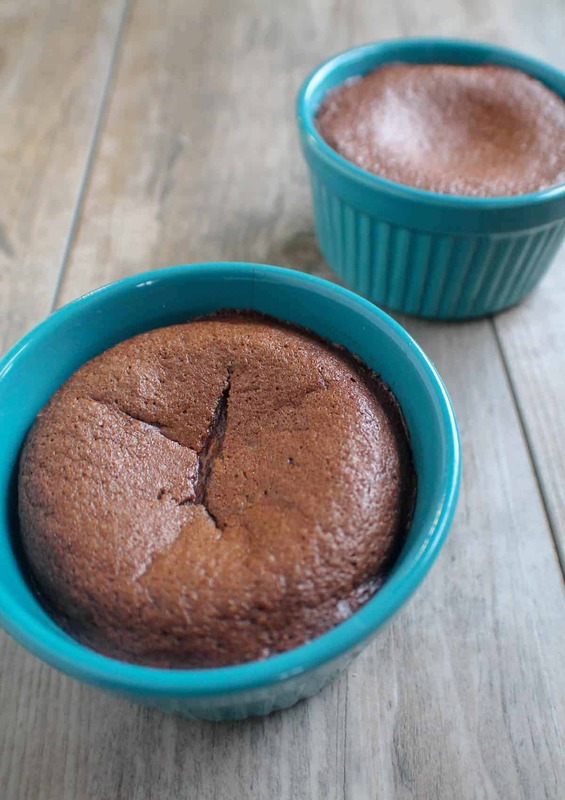 If you skip the parchment paper, the bottom of the cake may stick to the ramekin and ruin all of your hard work! You don’t need to be precise with the paper, just a small square piece on the bottom of the ramekin will work fine to help prevent sticking. Watch the cakes very carefully while they’re in the oven because timing is key… if they’re over-baked they won’t have a gooey center! Everyone’s ovens are different, so watch them carefully. They are done when the edges are firm and only the very centers are slightly soft and jiggly. The recipe calls for 1/4 Cup of sweetener, which makes them pretty sweet. If you don’t prefer super sweet desserts, reduce the sweetener to 2 Tbsp. 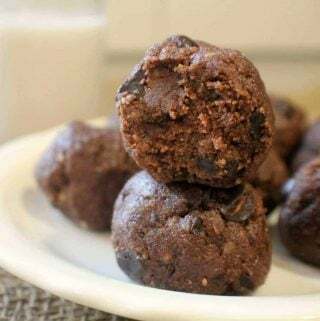 Looking for more Chocolate Keto Desserts? Check these out! 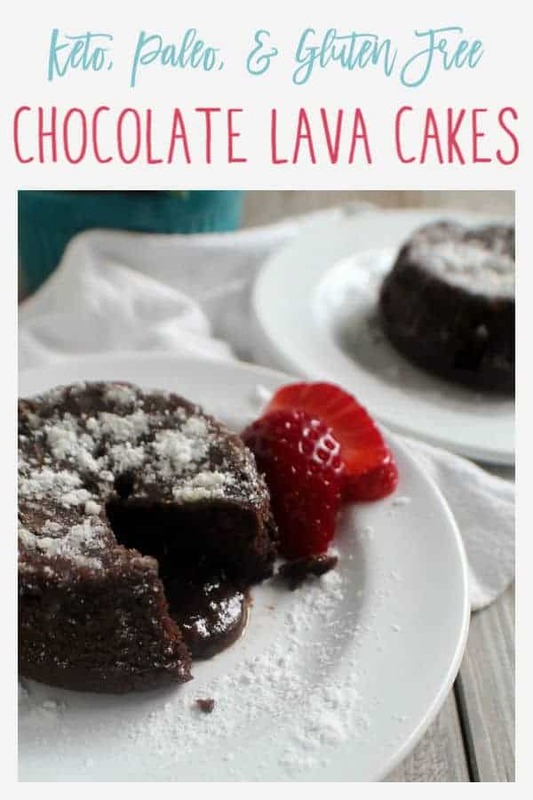 These Keto Lava Cakes are a chocolate lovers dream! 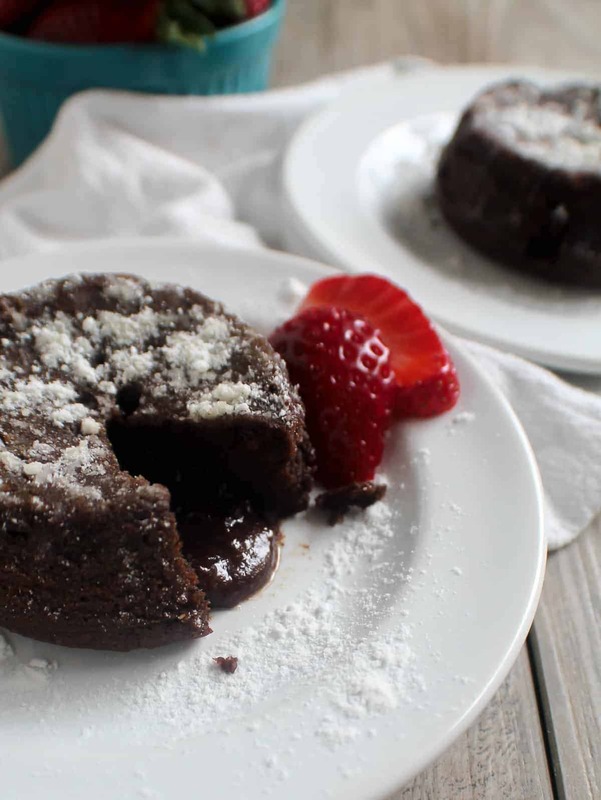 Also known as chocolate pudding cakes or molten chocolate cakes, they have a rich, pudding-like center and are surprisingly quick and easy to make. Grease 2 ramekins very well and place a small piece of parchment paper in the bottom of each ramekin to prevent sticking. Place the chocolate chips and butter in a microwave-safe bowl*. Heat 30 seconds. Stir. Heat another 15 seconds then stir until completely melted. Can heat another 15 seconds if needed. In a separate mixing bowl, beat the eggs and sweetener on high for 2 minutes. Add the chocolate/butter mixture, blanched almond flour, and vanilla to the egg/sugar mixture. Mix well. 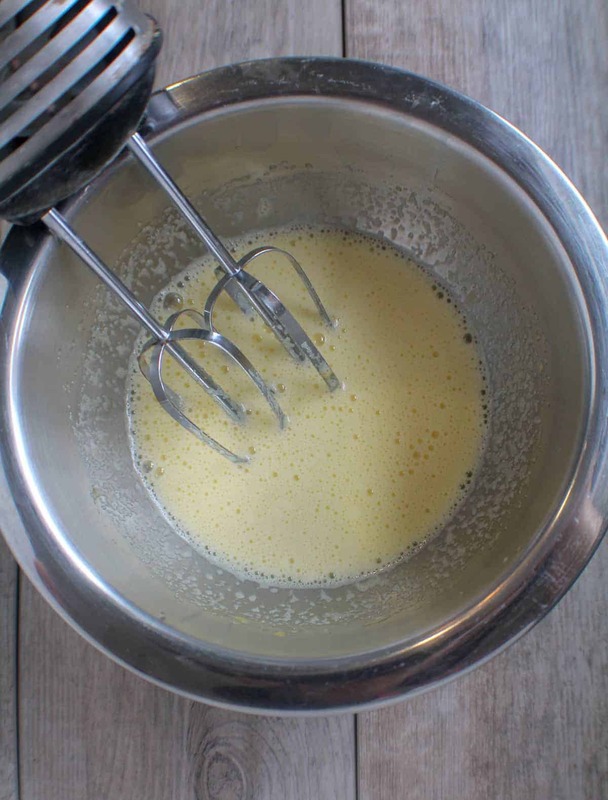 Divide the batter between the 2 ramekins and smooth the tops with the back of a spoon. Bake for 14-18 minutes, or until the edges are firm and centers are starting to set but are still slightly soft and jiggly. Let stand one minute. Then, run a butter knife around the edges and invert onto a plate. Garnish with Lakanto or Swerve Powdered Sweetener and fresh strawberries. 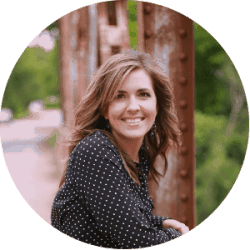 Sugar alcohol is added to the fiber to make the net carbs correct. *If you prefer not to use a microwave, simply place the chocolate chips and butter in a large heatproof bowl over simmering water, being sure the bottom of the bowl doesn't touch the water. Stir until completely melted then remove from heat. Hello Cassidy! 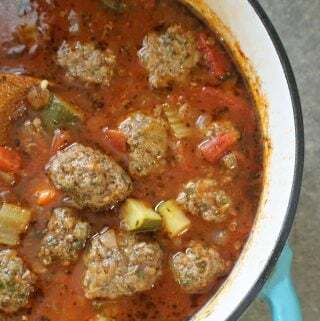 I think my hubby and I are gonna love this recipe especially for a Valentine’s treat! 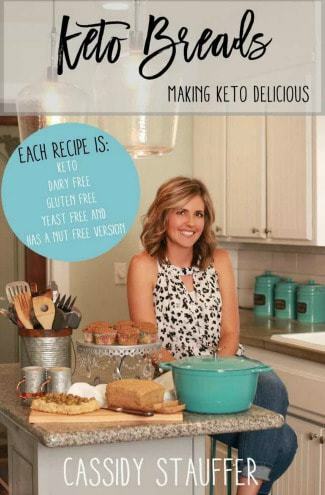 I did want to mention, I so appreciate you creating Keto recipes with the dairy free in mind, so helpful and more healthful. I do have one question, what size ramekin did you use? Thanks Elizabeth! The remekins I used are about 4 inches across the top and about 3 1/4 inches across the bottom. I hope that helps and you enjoy them, let me know what you think!!! Looks yummy! Is the nutrition info listed for the entire recipe or for each of two servings? Thank you! Are the nutrition facts for the whole recipe or per cake?